If you are interested in obtaining Electrical Items at market leading prices, we are its responsible and responsive suppliers. As we remain much concerned about the safety of the products, we store the entire lot in our capacious warehousing unit under secured environment and expert's supervision. 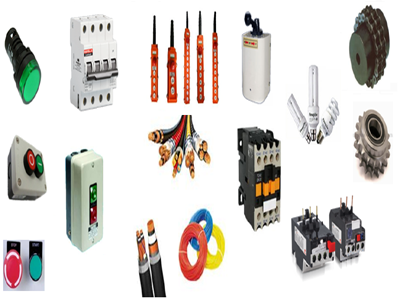 Wires, Cables, Fuses Transformers, Fans, ECB, MCB & Switches of reputed make i. e. Siemens, Havells, Polycab etc. HT Panels of Schneider, Siemens etc. D/B Enclosures Customized/standard. The Electrical Items, made available by us, are known for their advanced yet user-friendly features.